Pharo Smalltalk Users - using spotter in pharo 7. but have many error. using spotter in pharo 7. but have many error. only spotter. not touch anything. but many error encounterd. need more package? or need update? my pharo version is this. 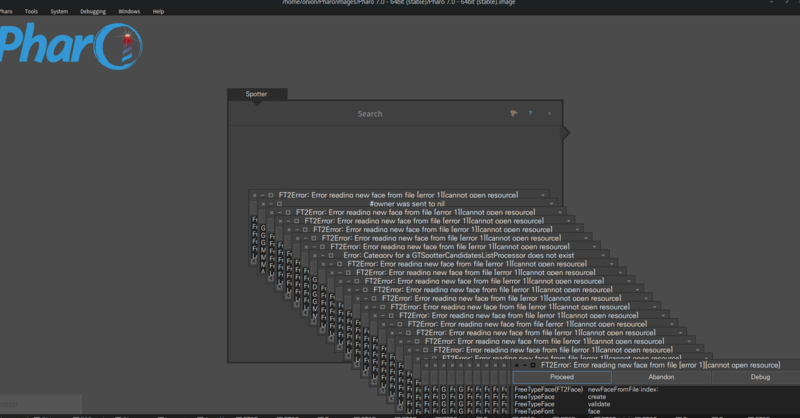 Re: using spotter in pharo 7. but have many error. Build information: Pharo-7.0.2+build.154.sha.9f17218676db0c1a0dd5d1b03226e660dbd674b6 (64 Bit)"
this version not have any problem for spotter.